Matthew Shapiro has been elected as the Volusia County Bar Association Young Lawyers Division President. Matt graduated from Florida State University and Florida International University College of Law. He was admitted to The Florida Bar in 2011. An associate at Rice & Rose, his practice includes property litigation and comprehensive estate planning. 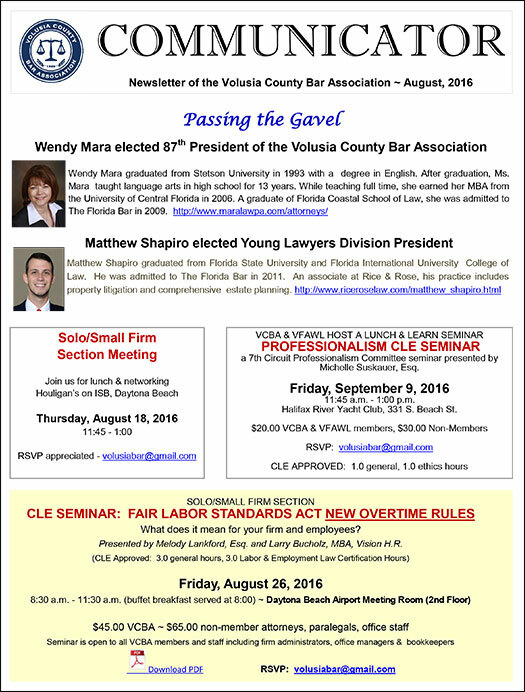 Click here for the Volusia County Bar Association Website.